Singer has been a staple in many homes since 1851. They are constantly giving consumers products that are affordable and easy to use. Whether you are a beginner or an expert, there’s always a sewing machine available at an affordable price. 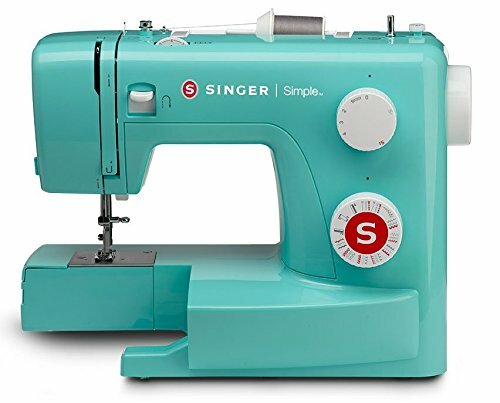 The Singer 3223G Handy Sewing Machine is directed more towards beginners in the sewing world. The machine itself has a very straightforward design with knobs that turn and instructions printed right on the outside of the machine. However, is this machine aimed only at beginners or can those who are seasoned use it as as well with the advanced techniques that they use? Let’s find out. There are a variety of many features that come with the Singer 3223G. Beginners will find the machine easy to operate and easy to thread thanks to some of the features included. 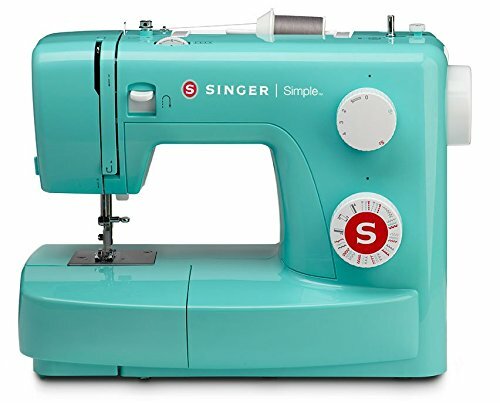 The Singer 3223G comes equipped with an automatic 4-step buttonhole. The buttonhole is where you would sew the button. Singer has designed this sewing machine to make it easier on beginners to make their buttonhole. This machine featured 6 essential stitches, 1 automatic stitch, 7 stretch stitches, and 9 decorative stitches. This gives you an ideal variety to work with. The six essential stitches will get you through the basics of sewing while the stretch stitches can allow you to work with more fabrics and designs. When you have everything set in place, use one of the nine decorative stitches to add some flare to your finished piece. Along with the stitches, there is a handy stitch selector on the machine that quickly allows you to choose which stitch you want to use with just the turn of a knob. This is a part of sewing that can’t be avoided. Whether you are finishing a shirt or making a skirt from scratch, it all begins with getting the thread into place. The automatic bobbin winder keeps the tension solid and ensures that everything rolls out smoothly. This particular bobbin winder will have you spending less time trying to figure out what to do and more time actually working on your project. The free-arm feature allows you to gain access to collars, cuffs, pant hems, and other problem areas with ease. The handy on-board storage lets you gain access to all of the accessories that come with the machine. The Singer 3223G comes with snap-on presser feet that make changing from one to another easy and without the use of a screwdriver. While the Singer 3223G does have a lot of features that come with it, that’s not the only thing that you should focus on. There are a lot of specific features on this machine that make it so amazing. Not all sewing machines are going to be able to fit on your desk with ease. Some of them are huge, bulky, and weigh a ton. It can make it inconvenient for those who just sew as a hobby rather than for a living. Since this machine only weighs 12.2 pounds, it’s perfect for moving around in different spots if you don’t have a sewing table to use. This takes away the hassle of finding a large workspace for those heavier and bulkier models. 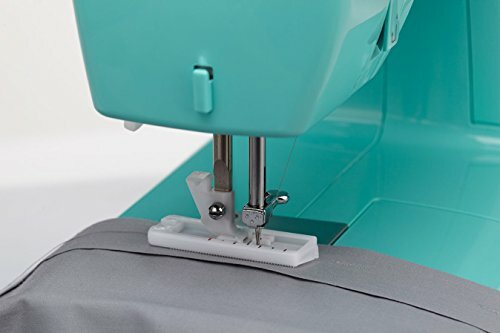 The lightweight feature of this machine means that you can take it anywhere with you if you’re traveling or seeking out help from other individuals who sew at a professional level. With the relatively small design of the Singer 3223G, you will have no issues carrying it around with you. Yes, this sewing machine is very aesthetically pleasing. In today’s world, almost everything comes back to fashion. This particular Singer model is super retro and chic. Since it is a cheaper model, it comes in a variety of colors, making it easier to fit into any decor. It may look plastic-y on the outside, but the inside is made from a durable and heavy-duty metal frame. This allows your machine to look pretty, but remain sturdy for years to come. Having a durable machine means that there will be no jumps or skips while you are sewing your next masterpiece. Not only is this machine ideal for adults who are beginners, but it’s also ideal for kids who are just starting out. The best part about this machine is that it is sturdy and safe enough for even the youngest fashionista to use. We can’t say that the machine is going to be perfect, because honestly, is anything ever perfect? The Singer 3223G does come with its downfalls, as does any product. However, if there should ever be something wrong with the machine, remember that it does come with a generous 25-year limited warranty. No, this machine does not come with any fancy bells and whistles. It only has the basics, which is why it’s best for beginners. If you want something that has hundreds of stitches, this won’t be it. If you travel out of the country a lot, this isn’t a machine that you are going to be able to take with you. It is only equipped with North American voltage. The voltage in other areas is higher than North America as well, so this sewing machine definitely should stay in its home country. Sure, you could buy an adapter, but it will void your warranty. While this is probably the best affordable sewing machine on the market, it is definitely more geared towards beginners. Professionals may not find the machine appealing to them because it lacks the bells and whistles that they may be looking for. This would be the ideal machine for those who are just starting out or looking for the basics to get them, started. Any beginner would find this machine easy to use and fun to dew with. There are plenty of decorative stitches that can turn any piece of clothing into a masterpiece.